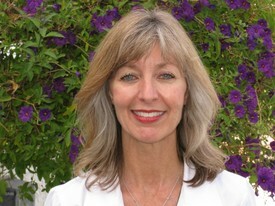 Dr. LaMar is a native Californian born and raised in San Jose along with three sisters. In early highschool she knew she wanted to pursue a dental career and received her Bachelor's degree in dental hygiene from UCSF school of dentistry. After three years as a dental hygienist, she returned to UCSF to earn her Doctorate in Dentistry. Dr. LaMar and Dr. Giannotti have practiced here in Fremont for the last 24 years. 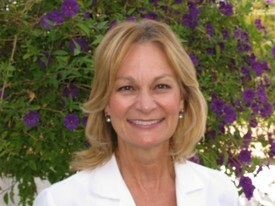 Dr. LaMar is married with two children and enjoys snow and water skiing and time in the mountains with her family. Dr. Giannotti was born and raised in the Bay Area, graduating from Notre Dame high school in Alameda, and then receiving her Bachelor of Science degree in Biology from Santa Clara University. She received her DDS degree from University of California, San Francisco, having been elected to the Omicron Kappa Upsilon dental honor society. She subsequently worked as an Assistant Clinical Professor in the Department of Oral Medicine at UCSF, studying and treating various oral diseases and cancers. Dr. Giannotti is a member of the American Dental Association, the California Dental Association, and the Southern Alameda County Dental Society. She has also attained Fellowship in the Academy of General Dentistry. Dr. Giannotti is married with two young adult daughters, and enjoys Italian cooking, reading, gardening, and time at the beach with her family and two big chocolate Lab dogs.